A portal to some of Voxare's recent projects, including the quartet's groundbreaking, "Voxare Meets the Man with a Movie Camera." Dziga Vertov's 1929 silent Soviet masterpiece, The Man with a Movie Camera, ranked as the 8th greatest film ever by the British Film Institute, is stunningly and painstakingly scored by Voxare. Drawing on the feast of Soviet-era quartet music composed during the same time period as the film, Voxare creates a visual and sonic experience unlike any concert ever seen. Music includes quartets by Shostakovich, Prokofiev, and Mosolov. The father of the American Minimalist School, Terry Riley is one of America's greatest composers. But, his music extends far beyond the sphere of Minimalism. Voxare's project: to explore Riley's music and his influence on the music of his contemporaries and those who have followed. Great music is not limited to the classical genre– rock music has seen its share of great artists who create music of incredible energy, emotion, and beauty. No ensemble is better suited to express these affects better than the string quartet– namely, Voxare. 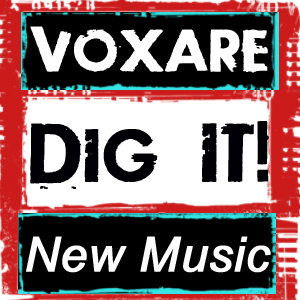 Voxare has made its own arrangements of rock and pop songs ranging from music by The Rolling Stones to Metallica to Coldplay and Radiohead. 4 voices, independent lines weaving through a rich tapestry– the string quartet is the perfect medium for composers to explore contrapuntal writing. Many of the greatest works for string quartet highlight music's most intellectual form: the fugue. Voxare brings to light the interactions and connections found in fugal writing, both old and new. Voxare's new music series at Teachers College, Columbia University in New York brings together composers both emerging and established for evenings of premieres and discussion of music. Composers have ranged from Pulitzer Prize winning composer David Del Tredici to upcoming composer Mark Nowakowski. During the 20th century, the United States saw numerous and diverse compositional threads. Perhaps no thread was more compelling than the Neo-Romantic movement, one which included some of America's greatest composers: Barber, Rorem, Thomson, Copland. Over multiple seasons and in conjunction with our residency at Columbia University's Miller Theatre Noon Concert Series, Voxare has explored the thread of string quartet literature by America's great masters as well as contemporary composers following in their footsteps. Home of the Voxare Sting Quartet. Emily Ondracek-Peterson, Galina Zhdanova, violins. Erik Christian Peterson, viola. Wendy Law, cello. Copyright, Voxare String Quartet, 2017. Web and graphic design by Erik Peterson, copyright, 2008-2017.